The Care Home Conference 2017 is a series of conferences that are held for care home owners as well as managers and all types of care professionals living and working throughout the United Kingdom. These conferences are held in major cities throughout the United Kingdom and are available to attend free of charge. Read on to discover how attending the Care Home Conference in 2017 could boost your business. 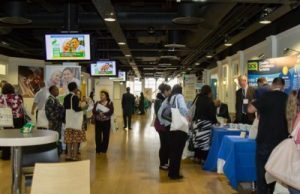 People who are involved in the care home profession will have the chance to meet a large number of care suppliers as well as industry experts and care professionals at the 2017 Care Home Conference. In addition to providing invaluable networking opportunities, these conferences also allow suppliers to showcase new products and services. The workshops that are on offer during the conference will also provide people who attend the chance to learn new practices. The skills and information that is gained during these workshops can help to advance their business. They will also ensure that the people under their care are able to benefit from the latest innovations in the industry. This is the perfect way to help give your business the edge and earn a reputation for excellence. People who share similar passions can meet in an informal way during these workshops. Care home experts who have special information to share with participants are invited to speak in one of the interactive workshops or educational seminars. Each seminar runs for 30 minutes and covers the current topics and issues in the care sector. These speeches are designed to be informative as well as educational and inspirational and should be suitable for all types of care professionals. 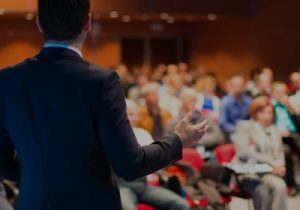 Anyone who wishes to be a speaker simply needs to submit a proposal outlining the topic that they will cover, the main details and information about how this speech will benefit the participants of the conference. Any company that manufactures or promotes products that are related to the care home profession is invited to apply to be an exhibitor at the conference of their choice. This gives companies the unique and valuable chance to engage with their target audience face to face and establish a rapport. Each type of product or service that relates to the care home industry is limited to two companies for each exhibition, which is designed to ensure that each exhibitor is given maximum exposure in order to create new business opportunities and generate high-quality leads. Anyone who is interested in becoming an exhibitor must submit an application form, while there are also limited sponsorship opportunities for companies to take advantage of. The Care Home Conference in 2017 is organised by Broadway Events, which is a company that has earned an excellent reputation for organising high profile industry events throughout the United Kingdom. The conferences are extensively promoted through various social media platforms as well as advertising channels and never fail to attract a large number of care professionals of all ages and from all walks of life. These events tend to be extremely popular and provide excellent networking opportunities – therefore, it is essential to apply for a free ticket in advance. This year, the Care Home Conference 2017 is taking place in the vibrant cities of Glasgow, Liverpool, Birmingham, Cardiff and London. The easiest way to reach us is by phoning direct on 01425 838393. It is also possible to send an email to info@careroadshows.co.uk, and you can be sure that you will receive a rapid response to your questions and queries from a member of our support team. Contact us today to receive your free pass or get more information about promoting your products and services at our conference.